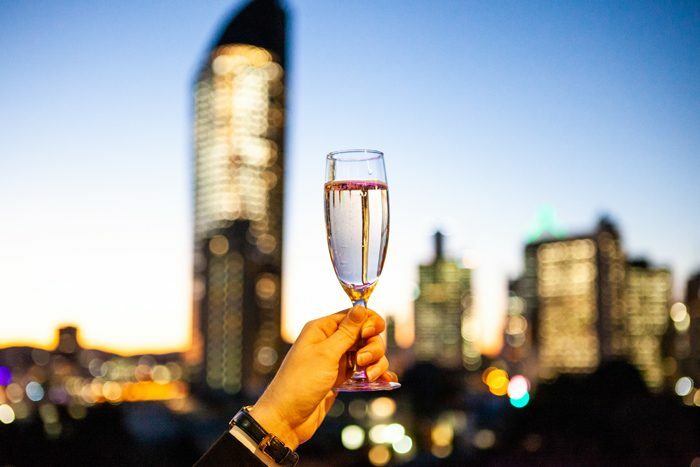 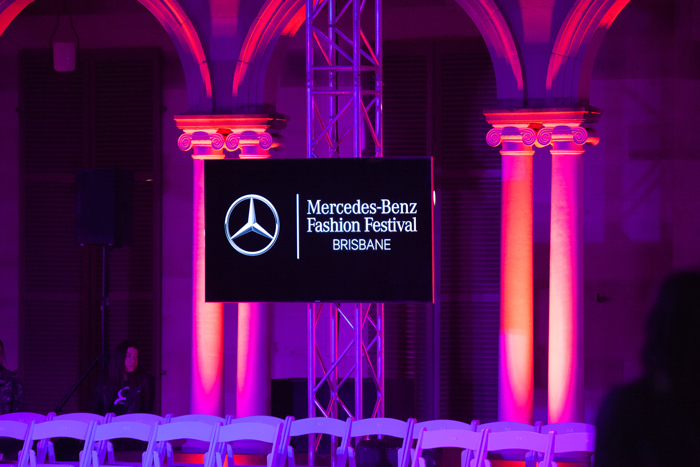 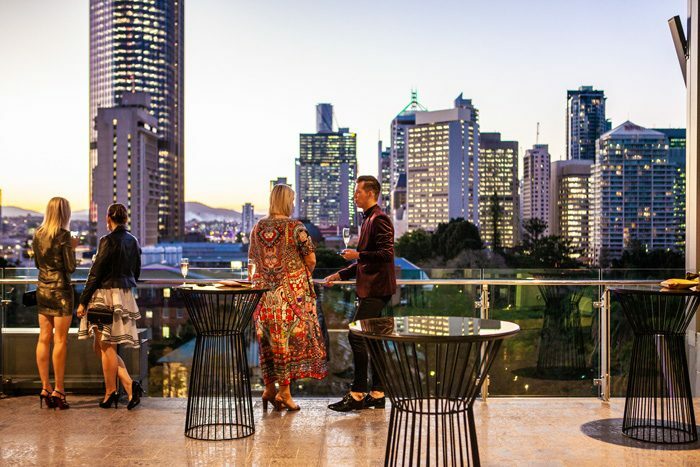 The Mercedes-Benz Fashion Festival returned to Brisbane in August, bringing 100 dazzling designers, fabulous fashions, and socialites to the river city. 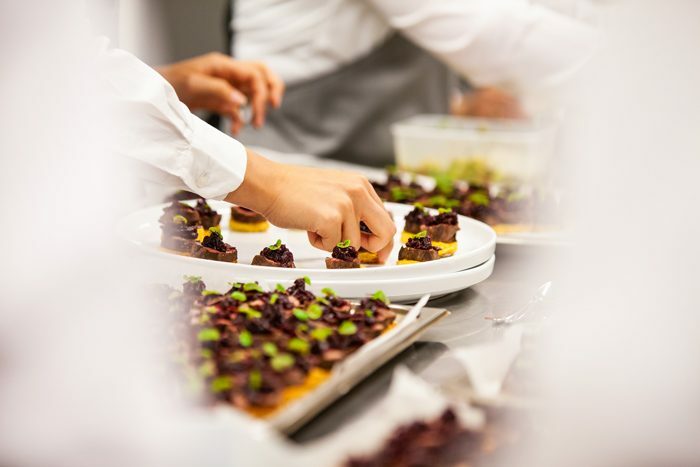 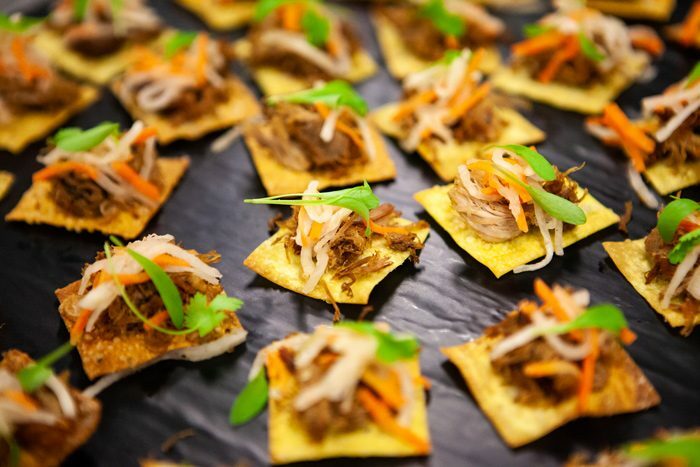 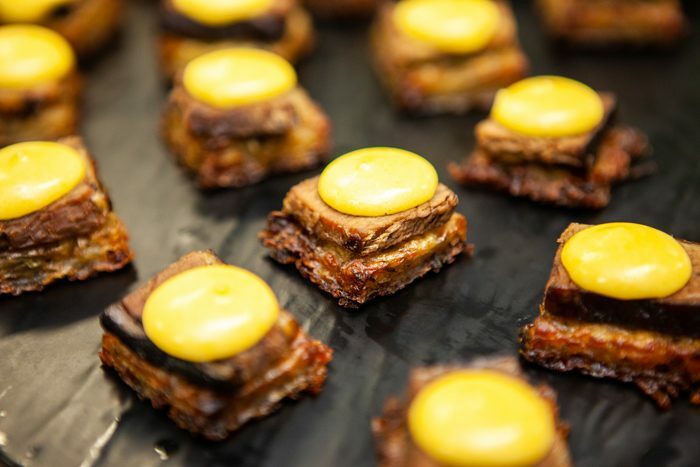 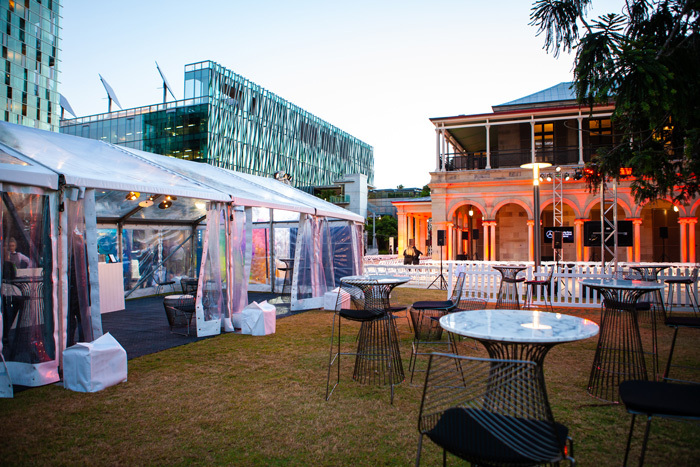 Cuisine on Cue was honoured to again provide catering at two of the festival’s exclusive venues, The MBFF Star Lounge at Room Three Sixty and The Fashion Bar outside Old Government House. 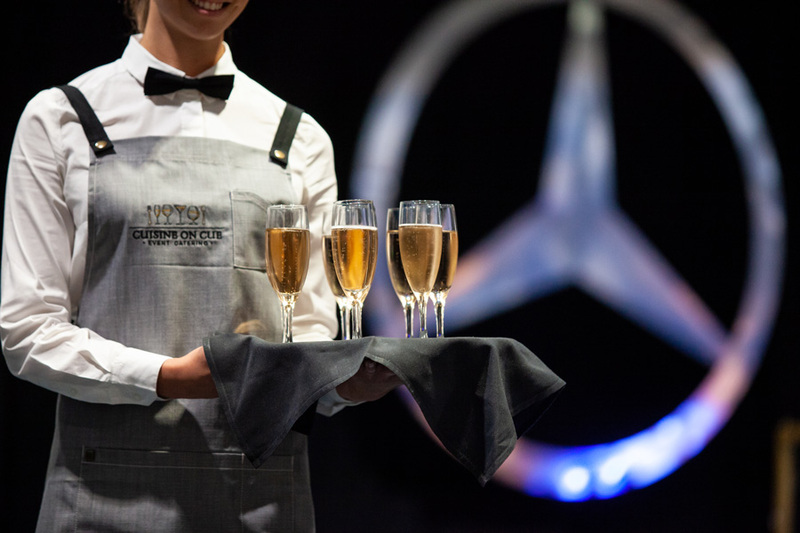 Star Lounge was the premium pre-show destination at MBFF in 2018, with Platinum and Gold Pass guests treated to canapés, drinks, and the chance to mingle with Australian fashion’s elite. 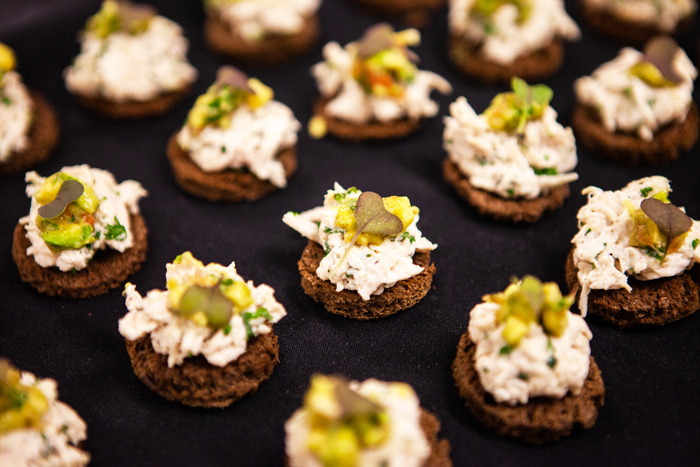 Star Lounge guests enjoyed a range of seasonal canapés designed to echo the stylish air of the venue. 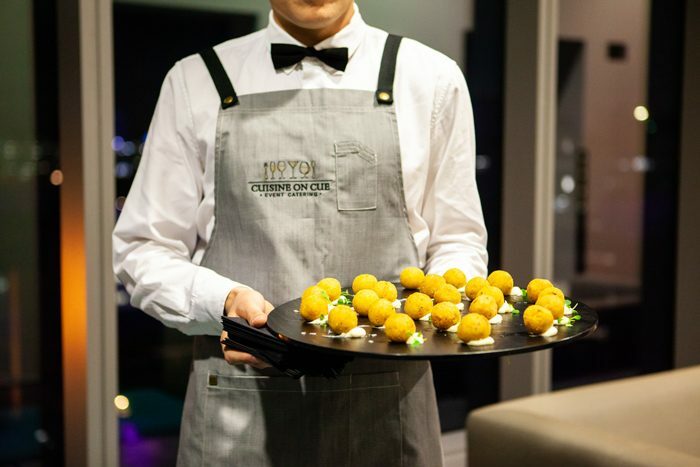 Offerings included orange, thyme, and feta arancini with truffle mayonnaise, shredded duck with ginger salad and crispy wonton skin, and char-grilled pear and gorgonzola en croûte with apricot chutney. 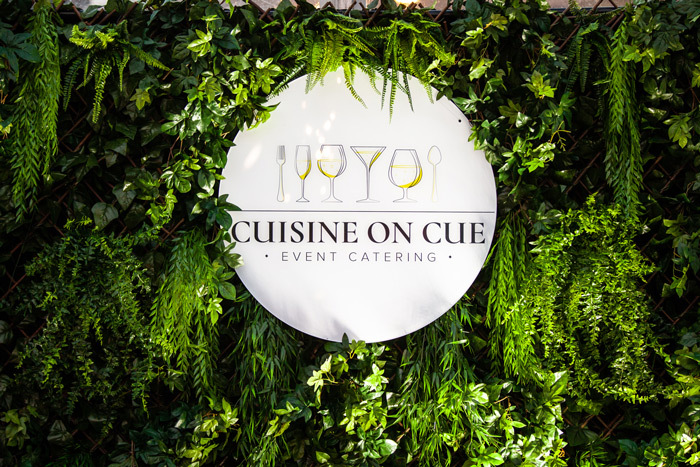 Cuisine on Cue’s catering for Star Lounge was complemented by wines provided by Bellarine Peninsula winery Scotchmans Hill, and included a Sauvignon Blanc, Shiraz, and Brut Cuvée. With 100 designers coming to town for the festival, Star Lounge (fitted-out by Valiant Styling) was a hotspot for pass-holders, guests, and local designers to rub shoulders with Australia’s biggest names in fashion including Dion Lee, Scanlan Theodore, and Alice McCall. 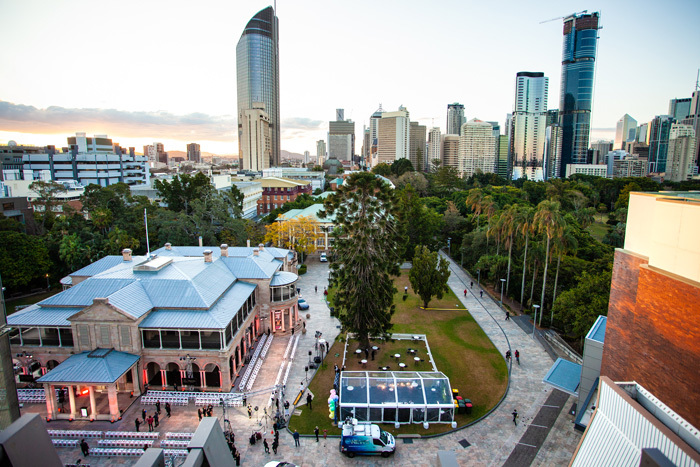 The Fashion Bar, an exclusive marquee on the lawn in front of Old Government House, was an official venue for Mercedes-Benz Fashion Festival 2018 guests to enjoy a drink before and after attending the sold-out shows. 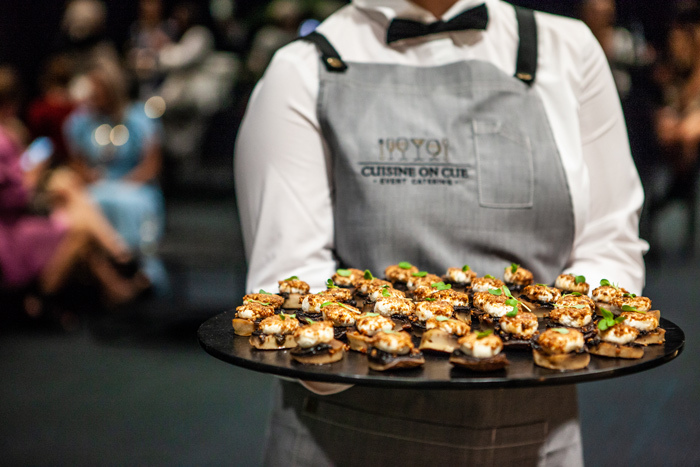 Guests of The Fashion Bar – while mingling with Australia’s fashion elite – enjoyed cheese and sushi platters by Cuisine on Cue. 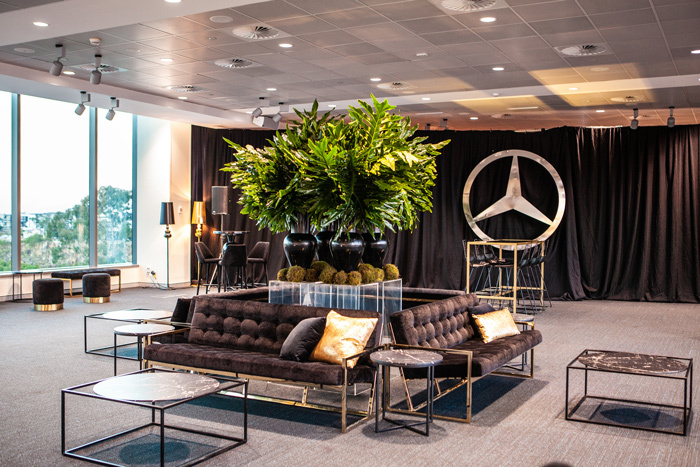 The minimal marquee and furniture, provided by Neals Hire, was offset by a striking custom installation by Dark Lighting, and a lush green wall by Beautiful Weddings that provided a perfect backdrop for fashionistas to get their ideal Instagram snap. 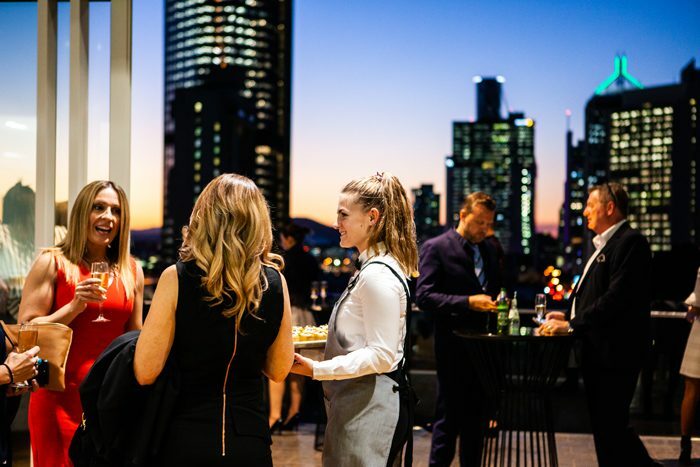 Showcasing local, national, and emerging designers, MBFF 2018 celebrated the arrival of the new season Spring/Summer collections to Brisbane stores, and provided designers with a chance to interact with consumers, retailers, and each other in a celebration of all things fashionable. 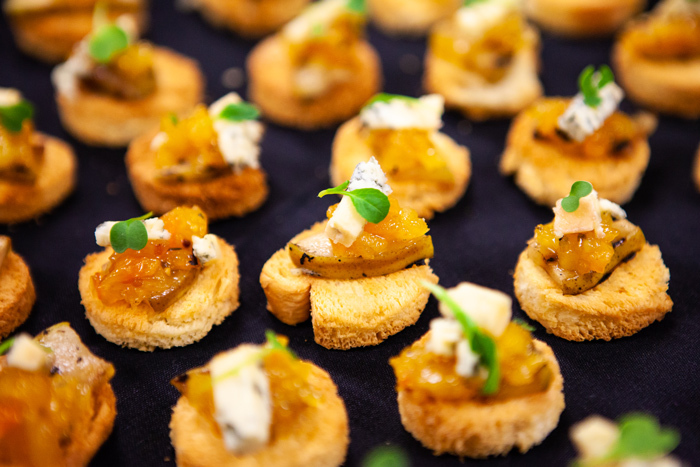 If you’d like catering at your next event, contact us using the form below.